Isis was the story of a wise and very likable high school teacher, Andrea Thomas. She was one of those instructors who went the extra mile for her students. 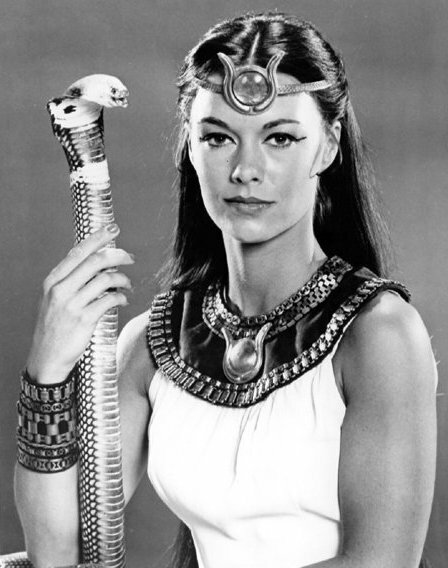 While on an archaeological expedition, she discovered an amulet that would grant her the powers and abilities of the Goddess Isis. Andrea used these powers to right wrongs and defend the helpless and downtrodden. There was no violence, and every episode came with a moral — it’s important to ask for help, don’t take foolish chances, believe in yourself, everyone has special gifts, and so on. 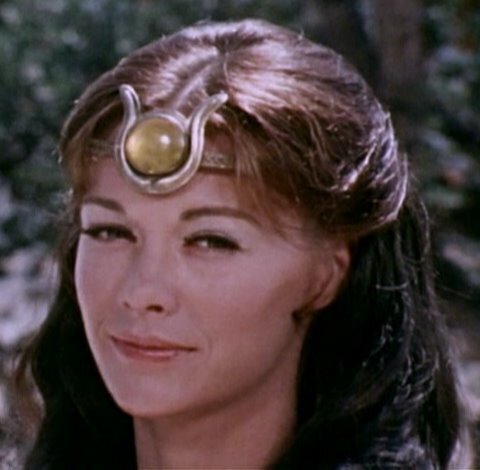 The live action series was a huge hit for two seasons and inspired legions of young male fans like myself to tune in each week and watch as the beautiful Isis helped young people solve their problems and stopped evil-dooers. It wasn’t just that Joanna was so beautiful — she was the teacher everyone wished they could have — a true confidant, a friend, an adult with all the answers. So the years passed, and one Christmas my sister found bootleg copies of Isis on eBay for me. Watching the show some twenty-five years later was incredible and brought back so many warm memories. What surprised me was that besides the clothing styles, the show was not dated and held up very well, and the morality tales played out in each episode were just as relevant to kids today. I bring all this up because a while back I got a chance to meet my childhood idol. 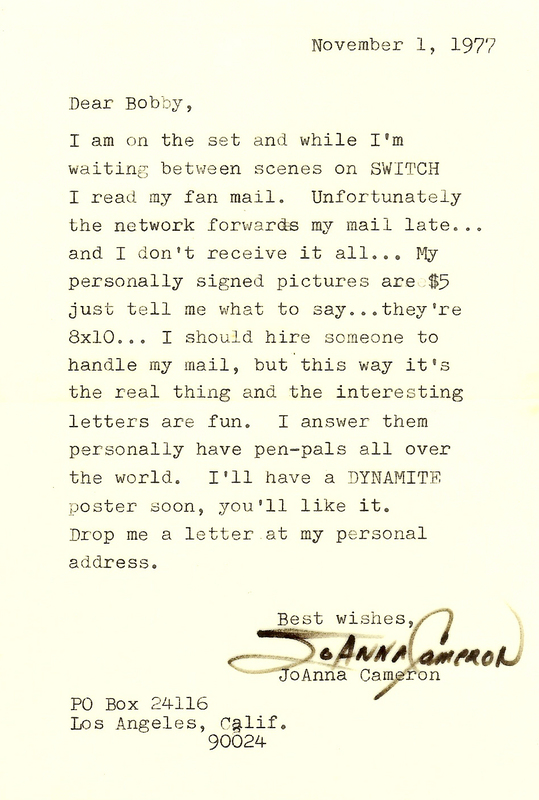 Joanna Cameron would be making one of her very few public appearances at a sci-fi convention the following week. 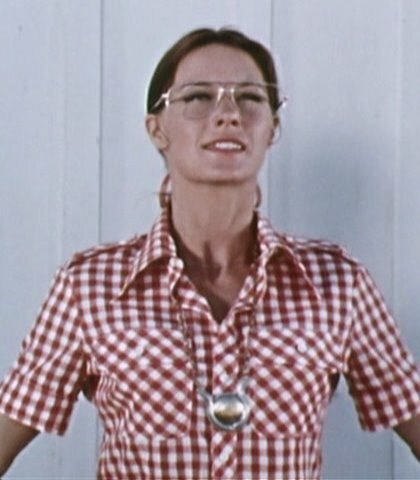 I thought about this all week — to go or not to go — But even the night before, I kept thinking — this is Joanna Cameron. This is ISIS. If there was ever a person I idolized in my life, it was Joanna Cameron. She barely ever does conventions, and now she would be appearing nearby (well, 30 miles away nearby). I knew I would regret not going. The “Super Mega Fest” convention was smaller than Star Trek conventions I’ve been to but had a decent sized dealer’s room. No schedule was provided about speaking, but as soon as I entered I realized that all the stars were already at tables signing autographs — and then I spotted her – Joanna Cameron. Breathe. Breathe. Be cool. Stop shaking. She smiled at that. She put me at ease. I hope she didn’t notice my legs were shaking. Nearly thirty years after Isis, Joanna Cameron is still so beautiful. She’s aged so gracefully and it’s amazing how you just look at her and see Isis. I told her my name and shook her hand, and told her that as a kid when times were tough or lonely I saw her as a friend every Saturday, and what a tremendous role model she was. I thanked her for writing back to me so many times back then, and we talked about she likes answering fan mail. We talked about ISIS and I asked if it would be on DVD — she was actually collecting signatures for that purpose,and would love to do a commentary or opening/closing. As I signed, she explained that the original series owner finally “got it out of his garage” and sold it, so there is a possibility of a DVD. She also said she’s love to see a new ISIS today with today’s technology. “We shot on a shoestring,” she told me. She had a great photo of her as Andrea Thomas that I bought, and the little trading cards as well. She signed, “Bobby, you’re the best” and offered to sign the other two I brought along as well — these were pictures I’d gotten from CBS almost 30 years ago. She liked the Isis “flying shot” I had and said, “It doesn’t show the damn boots!” She went on to explain that she hated the “damn boots” and that they designed the Isis doll before the series even aired (marketing even back then!) and she hated the boots. I laughed and said I was amazed how Isis would always come running down the road, chasing the runaway truck or whatever, in those boots. She told me that she did ALL of her own stunts for Isis, and usually shot the Isis part on Fridays — there was a lot of work with the costume, makeup and hair so they did all of her scenes as “I sis” on the same day. They did a show a week. I told her that I didn’t want to monopolize her time but she said not to worry; she said she’s not a big draw like some of the others, which really surprised me. The only long lines were for Anthony Daniels from Star Wars (he looks like C3P0) and Erica Durance, “Smallville’s” Lois Lane. I asked Joanna if people recognize her all the time and she said not really, but some people do. I asked her what she’s been up to — I knew she’d been in the nursing field. Itold her of my experiences working in an Intensive Care Nursery. She did 12 years of home health care and found it very challenging and strenuous. Much of it involved hospice, and she said that it got difficult after some time — you need something inside you to do that. I told her I understood, that although he hadn’t been in hospice I told her about Dad, who’d died of cancer when I was 19. 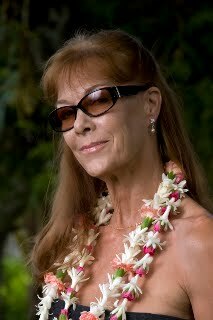 After that, she got her marketing degree, and lives in Hawaii and manages two hotels. She says it’s a better way of taking care of people — for example, some German tourists came in recently, all long pants and shirts, pale. Three days later they’re in shorts, tanned and happy — she almost didn’t recognize them. She likes helping people this way. Making their lives better. She’s still beautiful and I told her so. She’s also in terrific health. She says that to stay looking good you have to exercise. She is an avid long distance bicycler and loves to golf. Physical fitness is very im portant to her. es of us that came out great, and I even gave her a hug and thanked her again, very much. She thanked me, too. To see Joanna and person and actually have the opportunity to speak with her, one on one, for me, still has a dreamlike quality. She is such a wonderful role model, such a gifted person, such a giving, kind woman, and my hero. I know that Joanna Cameron is just a person, an actor in a TV show, but she was always such a special part of my childhood, and such a wonderful role model. To finally meet her, give her hug, and talk to her, well, it’s just a dream come true. I admire her for her philosophy of taking care of people. She did that as a fictional character on a TV show and gave lessons and morality tales. As a nurse, she provided one-on-one care to dying people and gave them love and dignity, and now she helps people to learn to relax and relieve their stress. What an inspiration. is the best Isis web site I have ever seen. The site is filled with Isis images, episode information, interviews, and behind the scenes trivia. I HIGHLY recommend this web site. the site reports that this is a special address that was set up to handle Joanna’s fan mail. I HIGHLY recommend this web site. UPDATE 2011: From Bob: This particular column has garnered more emails and response than any other posted here. I never realized how many people shared my love for “The Secrets of Isis” and admiration for Joanna Cameron. One of the show’s most ardent fans is “The Other Isis” who said it would ok to post her email here. She and her family visited the Halloween capital of the world, Salem, Massachusetts, in October 2011, and after many months of hard work she created an “Isis” costume that is authentic down to the minutest detail. I was so impressed by the results I asked for, and she gave me, permission to post them here. She is a true fan of Isis! New in 2015! The Shazam / Isis Podcast! I HIGHLY RECOMMEND this podcast! Joanna Cameron, star of “The Secrets of Isis” | RobertXGillis <Loved it! Big fan remember the show coming on Saturday mornings it really touched my heart to see her now even though I am onEast Coast I wish I was on the West Coast because because you have a better chance of seeing your childhood stars I really felt good reading this interview I’ll deathly come back this site for more updates. P.S. To all here, what is the best place to by the complete Isis series on DVD? Any recommendations would be truly appreciated. Thanks! I often try to remember all the wonderful tv shows I saw as a kid, and though I remembered The Shazam/Isis Hour, never thought to look it up…until I saw an Isis episode on a retro satellite channel. What a flood of memories! Of course, my first thought was “My First Crush! !” and despite all the usual 70’s trappings, I couldn’t get past exactly what you have mentioned: an intelligent, caring, TEACHER, who just happened to be brave and beautiful. The young boy in me is strongly tempted to write her “fan ” letter, I hope 45 years isn’t too late :)! p.s. I don’t think my wife would understand either! Great work. She’s a national treasure. I was just looking at that old show and realized how ahead of it’s time it really was. A smart female scientist and an Asian assistant? We don’t even have that on TV nowadays. A very good role model for young women at that time. I have to admit, I too had a crush on her. She is so stunningly beautiful even still today. Thanks for your contribution to my nostalgia! Thanks again very much for the very kind words! 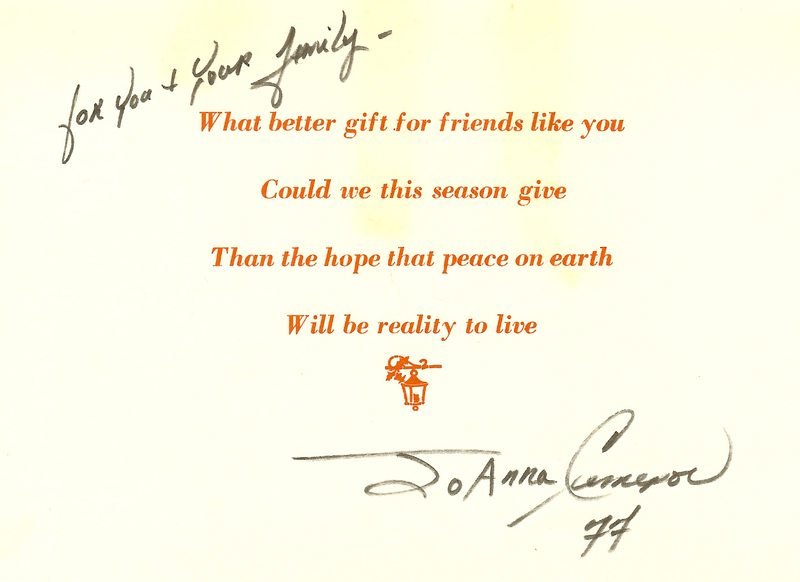 I very much enjoyed reading your wonderfully written piece on meeting Joanna Cameron. She was very and still is and inspiration to me after all these years. Like yourself, I grew up with wonderful Saturday a.m.role models on TV (can’t really say the same for present day Sat. a.m.). I responded alot to all the characters hero/heroine if you will even as I am a female. There seemed to be know distinction that only boys or girls could react to their own. However, I surely aligned with Ms Joanna Cameron…not only was she beautiful, smart, intelligent..she really relayed those qualities to the viewing audience. She was truly my very first role model. I loved the moral of the story at the end and I always waited to see it. She is sooo deserving of an Hollywood Star or some award for displaying integrity, honour and human fellowship. I am all up for promoting a big screen production of “Isis!”, one that retains the quality and message of our beloved Saturday morning routine with Ms Joanna and colleagues. She is sooo past due in being recognized for her contributions then and now.